Take a trip through Penn Museum history with “Unearthed in the Archives,” every Friday at 1:30 pm in the Penn Museum Archives. These short, weekly chats investigate the many interesting and unusual documents being safeguarded in this vast collection. 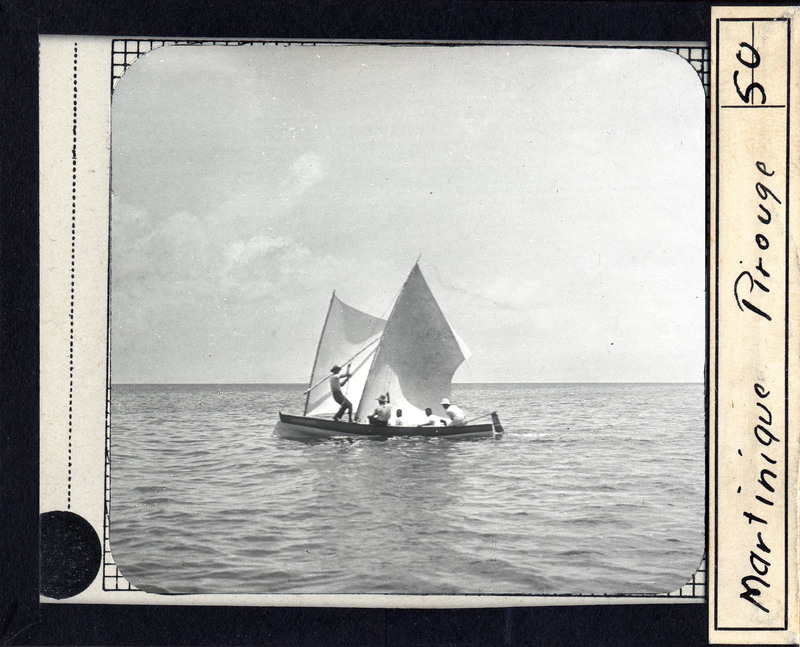 Guests can look for a new experience each week, based on expedition records, vintage photographs, manuscripts, personal letters, and much more. Half-hour sessions begin at 1:30 and 2:00 pm; each program is FREE with regular admission. Follow the Penn Museum on social media: Facebook, Twitter, YouTube, Instagram. 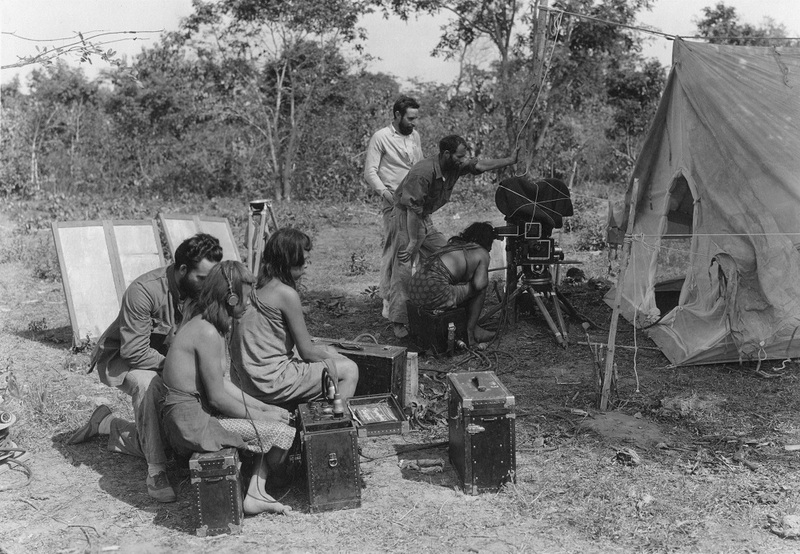 The world’s first sound-synced expeditionary film, shot during a 1931 Penn Museum expedition to a remote Amazonian jungle, forms the centerpiece of Hollywood in the Amazon, a special exhibition developed as part of the University of Pennsylvania’s 2013-14 Year of Sound. The exhibition runs August 18, 2013 through July 27, 2014 in the Penn Museum’s third floor Special Exhibitions gallery.In 1931, an expedition from the Penn Museum introduced a revolutionary new research method in the remote Amazonian jungles of Brazil. Transporting state-of-the-art equipment by sea, air, and river, the team arrived in territory occupied by the Bororo people and recorded an expeditionary film, Matto Grosso, the Great Brazilian Wilderness, incorporating live sound. 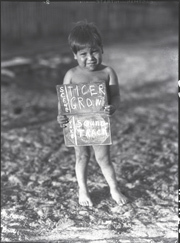 It was the first time non-Western people were seen and heard on sound-synced film.A collaboration between Academy award-winning cinematographer Floyd Crosby (father of musician David Crosby), wealthy industrialist E. R. Fenimore Johnson (whose father founded Victor Talking Machine Company), big game hunter Sasha Siemel, and Penn Museum anthropologist Vincenzo Petrullo, the groundbreaking film is presented in its 49-minute entirety.The small gallery exhibition tells the colorful story of the remote expedition, fraught with physical trials for anthropologists and filmmakers alike. Several artifacts from the Bororo people, collected during the expedition, enrich the story. Translations of the Bororo speakers, obtained from Bororo people in 2011, provide another aspect to the tale. 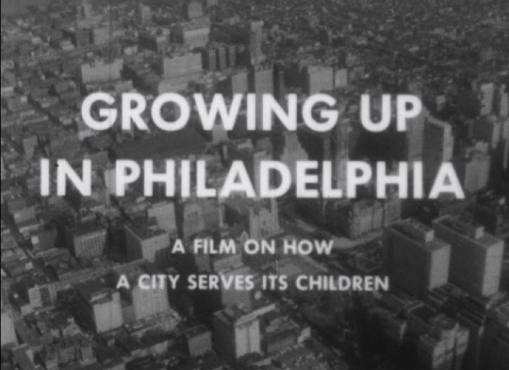 After some early theatrical screenings, the film was relegated to relative obscurity in the Archives until 2008 when, under a grant from the National Film Preservation Foundation, the film and its sound were restored. The Museum plans a DVD release of the film for wider distribution. 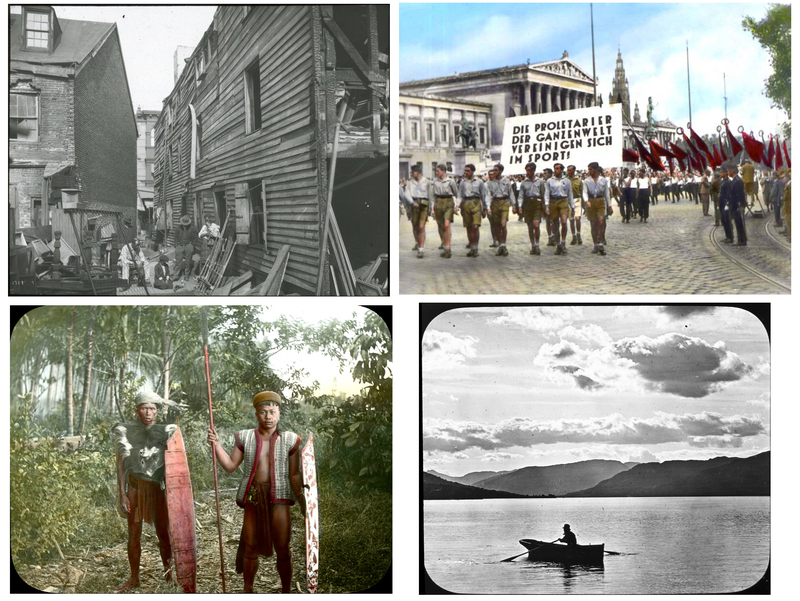 Matto Grosso, the Great Brazilian Wilderness is one of many archival films in the Museum’s collection, which includes hundreds of ethnographic, travel and other films and clips. 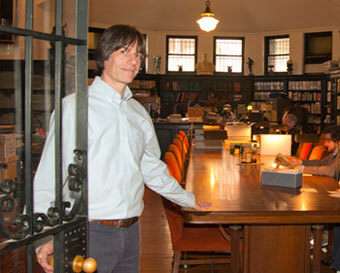 Thanks to a collaboration with the Internet Archive, the majority of the Museum’s rare and often fragile early archival footage, once largely inaccessible, was digitized in 2008, and makes up much of the Penn Museum’s popular YouTube channel, which surpassed a million viewers in May 2013. Ms. Pourshariati also curates an occasional Penn Museum film series, Live from the Archives!, as well as an annual Second Sunday Culture Film Series—bringing audiences and experts together to watch and share conversations about old and contemporary ethnographic films. While working on the film restoration project, Ms. Pourshariati, with help from Penn Museum Consulting Scholar Greg Urban, was able to connect with Brazilian anthropologist Dr. Sylvia Caiuby Novaes, and through her, to Bororo people today. They watched (and apparently enjoyed) the film, in one case providing an actual name of one now-deceased Bororo shaman, and providing translations of the Bororo dialogue. These translations can be used as optional English subtitles in the Museum’s planned new DVD release of the film. Speaking to the value of this archival film and others, Ms. Pourshariati said, “The age of large individually sponsored expeditions has come to an end, and even very remote parts of the world have been traveled. Filmmakers from international source communities now produce their own documentaries, giving essential indigenous perspectives to the expanding universe of knowledge. Find out more about what happens in the galleries – and behind the scenes – at this 125-year-old museum of archaeology and anthropology, where new research and discoveries continue to happen. 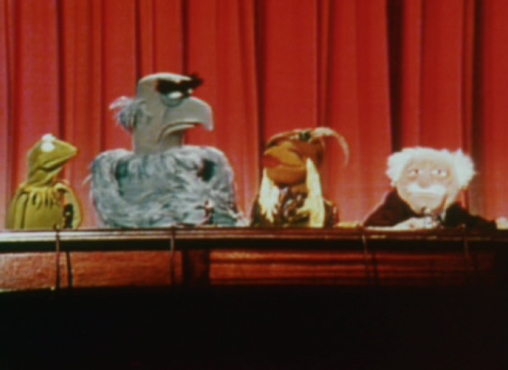 Curators, keepers, and researchers share some of their projects. Docents offer gallery tours, and graduate students teach Egyptian hieroglyphics and Sumerian cuneiform mini-classes. Guests can also enjoy live performances of music and dance in the galleries. Additionally, in honor of Archives Month, the Museum Archives will be hosting tours of its new exhibit, “Hollywood in the Amazon,” as well as an open house and tours of the Archives, with select items on display. Staff will be on hand to talk about table-top displays featuring archival materials connected with the film, Matto Grosso, the Great Brazilian Wilderness (1931).